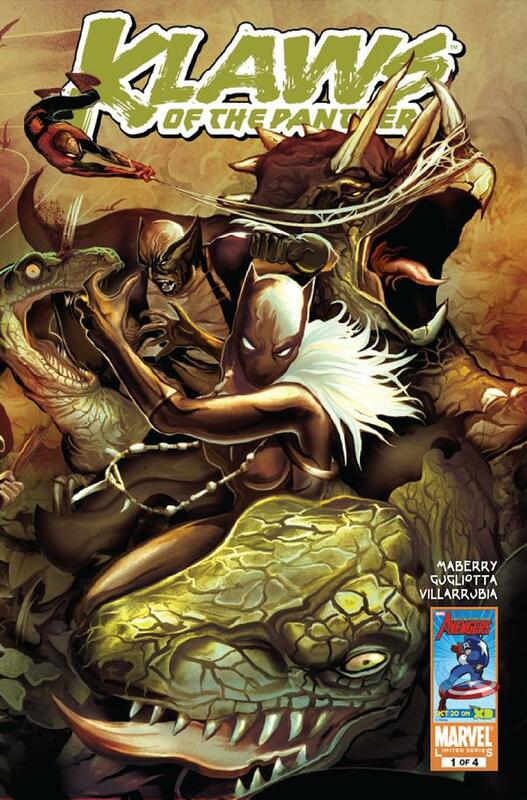 Shuri has arrived in the savage land to purchase Vibranium from Ka Zar. He has gone missing and we soon realize a trap has been set for Shuri by Klaw. Additionally AIM is planning on destroying all the Vibranium of the savage land so that the world and wakanda will be further weakened. The animals of the savage land have also been fixed with technology which drives them all crazy. When Shuri and Shanna, Ka Zar’s wife rescue him Klaw makes his appearance and takes them down. Further adventures of Black Panther Shuri- It was great seeing a story focus on her again after the Doomwar fallout. Cover- Both the standard cover and the alternate are great to look at! The alternate with it’s dino heavy action is a fave of mine. Villain- It was good for Klaw a longtime Panther enemy to be used once more. Summary- The events leading up to her arrival in the savage land were well summarized even though they served to lengthen the story. Where do I begin? The story was boring, sure it was all filler and set up BUT the art really didn’t enhance the story in any way, shape or form. The art was terrible for a number of reasons- It was a bad fit for the story, something dark and gritty or over the top realistic or even just plain bright would have been more suitable but the colors were drab, details scare and just NOT FITTING. Worst still there was no sense of the fight scenes flowing together. Everything was kind of disjointed and seemed cobbled together. VERY DISAPPOINTING ART. Another problem was why Shuri was there in the first place- to get savage land vibranium. Ok, brace for it; Savage land Vibranium is also know as Anti- Metal vibranium meaning it destroys/liquefies all other metals even adamantium based on the vibrations it gives off. Wakandan Vibranium had the power to absorb vibrations and could be turned into a form of Anti-Metal itself through a process the wakandans developed. NOW WHY would Shuri wants anti-metal in wakanda when they only have enough pure vibranium to power a toaster? would that not risk destroying what little is left? I don’t get it! Unless Maberry plans to now Retcon or reveal some process of making Wakandan vibranium from the anti-metal form this seems pointless and if such a precess is revealed…it will make Doomwar feel shallow. Another thing- During Doomwar and the lead up to this issue in Age of Heroes Wakanda’s image on the global market took a beating. Not only accused of all kinds of atrocities and deposed but they essentially went on a killing spree to win back the nation which made them look like savages to the outside world now Shuri is making a “backdoor’ deal with a nation which is NOT part of the UN to procure a metal for use in “warfare” as they will see it. …..not good form at all…..
Klaw was never an engaging villain before and by returning him to his older state as pink face,no nose, sound shooting hand was a bad move he was much more entertaining in Black Panther #1 where his hand could morph and had a variety of uses. That dude I would have loved to see again!